Tim Ferriss has been listed as one of Fast Company's "Most Innovative Business People," Forbes's "Names You Need to Know," and Fortune's "40 under 40." He is an early-stage technology investor/advisor (Uber, Facebook, Shopify, Duolingo, Alibaba, and 50-plus others) and the author of four #1 New York Times and Wall Street Journal bestsellers, including The 4-Hour Workweek and his latest, Tools of Titans: The Tactics, Routines, and Habits of Billionaires, Icons, and World-Class Performers. The Observer and other media have called Tim "the Oprah of audio" due to the influence of his The Tim Ferriss Show podcast, which has exceeded 100 million downloads and has been selected for "Best of iTunes" three years running. 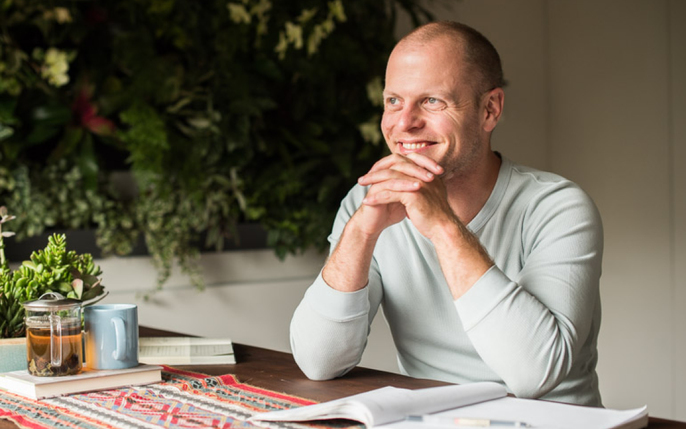 Join renowned entrepreneur and author Tim Ferriss for an intimate discussion about his latest book, <em>Tools of Titans</em>.